Kev Popped down to the house last week to meet the Spanc people, no he wasn’t setting up a sordid night of bottom spanking he was sorting out our septic tank problem mentioned in our last post. 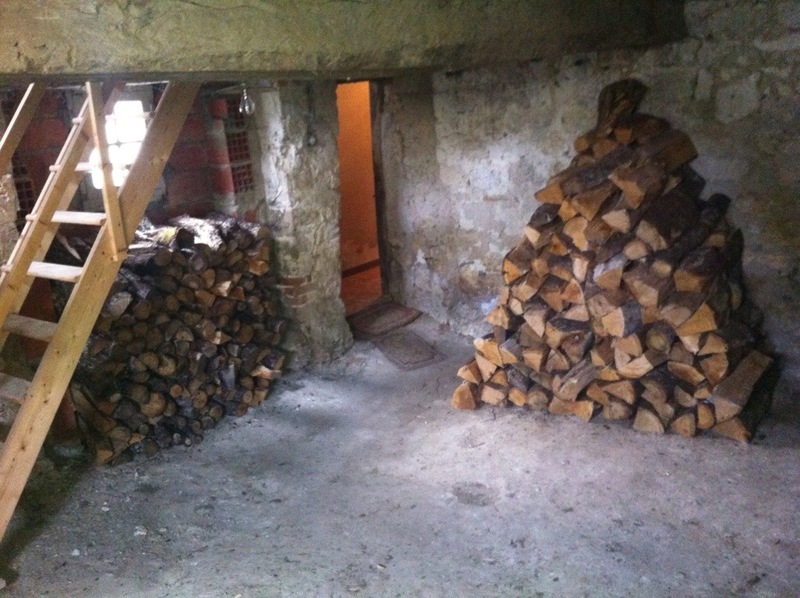 Anyhow whilst there is was a busy boy and stacked our recent 3 tonne delivery of logs which will hopefully keep us warm this winter, well that is once we have bought our log burner. Didn’t he do well, so neatly stacked. A touch of OCD there Phill. Make sure you take the correct log and don’t spoil the pile. This is how Jack Nicholson started in The Shining. Well done Kevin.